Dublin based groove grapplers The Enzymes dropped their debut record, ‘Nothing to Lose’, at the beginning of the year – if you like your riffs fat, your chords crunchy and your solos shredded…meet your new favourite band. ‘Nothing to Lose’ is full of riff-based rockers packed with of neck-throttling guitar work. Thankfully The Enzymes have managed to avoid the main pitfall of many guitar-heavy records. They haven’t gone full Spinal Tap. It never goes too far the other way either and it’s a record that could only be accused of subtlety in patches. Guitarist Shane Murray never verges into the mire of self-indulgence though. He may skirt round the edge at times but ultimately the songs are served first and foremost. Lead singer Molly Wade’s voice is another powerful tool on this record, confidently vicious within the swing-metal rock of tunes like Dream Train, while still portraying delicacy on the likes of Amber Snow and Orchard Lane. Much of ‘Nothing to Lose’ is heavily rooted in the genres that clearly influence the band. While this doesn’t quite get to the stage of the songs being formulaic it does leave you wondering about their identity. Their own sound isn’t so clearly defined. It gets a little muddied by the recognisable structures of the genres the songs exist within…only with added guitar, always more guitar. Amber Snow, Orchard Lane and Gloriana II, three of the album’s softer offerings by some distance, pull back the curtain a little more. There are hints of Laura Marling in the record’s three-song acoustic interlude. You can’t help but feel that if these songs had been spread around a little more evenly the record could flow a lot more freely. Although, in an age where very few people obey the running order of an album anymore is this even a relevant complaint? Maybe it is, certainly for old Luddites and youthful pedants. An impressive debut with a level of musical virtuosity seldom displayed on freshman outings, ‘Nothing to Lose’ is a record that hints at a vast landscape of future possibilities for a band with the tools to go anywhere. If The Enzymes can channel those tools into forming and displaying their own identity a little more on future recordings they’ll really be onto something. 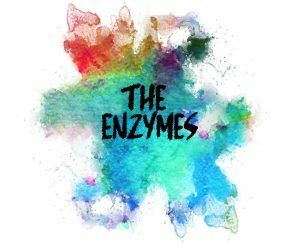 As it stands, if you’re sick of beeping, looping programmed electronica and long for some blues-rooted rock, look no further than The Enzymes’ ‘Nothing to Lose’.